Robin Lowell: "Change is Coming Your Way!" "Change is Coming Your Way!" Robin Lowell is a very wonderful gift to the Body of Christ here in Albuquerque, New Mexico. She has been very active in the prophetic in her church and in raising people up in the prophetic to equip them for marketplace ministry, and also teaches dream interpretation. Then a week later, in the shopping center parking lot, I saw a dime embedded in the asphalt. I dug it out with a napkin. It was covered in tar and gunk. The next day, I was riding my bicycle and there, in the middle of the street, lay a bunch of change scattered around. I stopped and picked it up—53 cents in all. Random? Coincidence? I don't think so. This is one way the Lord speaks to us... a sign that makes us wonder. "It's time for change—both small and not so small—and I will supply everything you need for change. I'll bring the correct change, exactly when you need it and when you least expect it. You don't have to do anything for this change. You don't have to look for it or even ask for it, but it will come. The change that I will bring is much needed and it will be a blessing to you. There will be a specific purpose for this change and it will have value in your life, so do not discard or refuse it, even if it's not what you expect. It may come from an unexpected source or at an unexpected time, but I will provide exactly what you need, when you need it. Will you receive it?" I see the significance of the number 2, and the 2 cents represented a blessing for my friends and me. I hear the Lord saying, "There will be a double portion of My blessing coming your way. Expect the double portion." I also see there will be times when someone, unsolicited by you, will be happy to give you their "two-cents worth." This will be a time to exercise wisdom and grace. In other words, don't receive the enemy's 2 cents, receive the Lord's 2 cents. I pondered on the word "change," and finally looked up its meaning. Webster's Dictionary defined it as this: "To cause to turn or pass from one state to another; to alter, or make different...Any variation or alteration in form, state, quality, or essence; or a passing from one state or form to another; as a change of countenance; a change of habits or principles." In this change that is coming, I see transformation, repentance, renewing of the mind and breakthrough. I decree over each of you that the change coming your way will bless you with exactly what is needed in this season of your life. I hear the Lord say, "Don't reject or fear the change, rather PRAY FOR WISDOM to know if the change is from Me." I pray the Lord grant you wisdom, grace, resources, vision and joy when the change comes. I believe many of you who gladly receive the coming change will not recognize yourselves in a year's time. 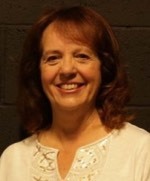 Robin Lowell has been involved in prophetic ministry for almost 20 years. In those years, she has immersed herself in the prophetic, including dream interpretation. She has taught classes, seminars and workshops on the prophetic and in dream interpretation in both the United States and Uganda. She is currently head of the prophetic ministry at New Life City in Albuquerque, New Mexico. Robin is a prophetic voice not only to her church, but to her community and many others. 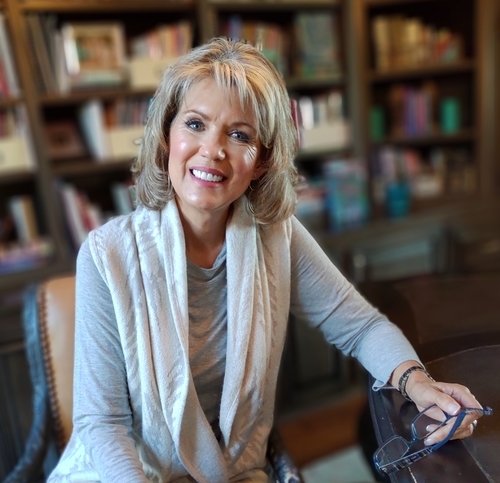 She has a passion to equip and train others in the prophetic, to see people set free from their past, and launched into their purpose and destiny through experiencing Jesus in the prophetic. Robin grew up in Albuquerque, NM and lives nearby in the city of Rio Rancho, NM with her husband, Seth, of 25 years.